TDI CR S SERVICE HISTORY ! £20 YEAR TAX ! 12 MONTHS MOT ! 99% FINANCE APPROVAL ! 99% FINANCE APPORVAL ! 2 KEY'S, £20 YEAR ROAD TAX ! SERVICE HISTORY ! LOOKS AND DRIVES FANTASTIC ! GREAT MPG RETURN £0 ROAD YEAR ROAD TAX ! COMES WITH 12 MONTHS MOT WITH NO ADVISORIES ! OIL SERVICE DONE ! 12 MONTHS FREE AA BREAKDOWN COVER !, Upgrades - USB/AUX-In Connection, Metallic Paint, Service history, Excellent bodywork, Black Cloth interior - Excellent Condition, Tyre condition Excellent, Standard Features - Air Conditioning, Electric Front Windows (One-Touch with Anti-Squeeze), FM/AM Radio, MP3 Compatible CD Player with Combined USB/AUX-In Port (CUP), Tinted Windows, Tyre Pressure Monitoring, Volumetric Alarm with Back-Up Horn, Alarm, Immobiliser, Remote Central Locking with Two Folding Remote Keys with Remote Window Opening/Closing Function, Electrically Adjustable Door Mirrors, Height and Reach Adjustable Steering Wheel, Height adjustable drivers seat, Trip Computer, Folding rear seats, Cup Holder in Front Central Console. 2 Cup Holders in Central Console for Rear Passengers, Electric door mirrors, Height Adjustable Front Seatbelts with Pre-Tensioners and Load Limiter, Electronic Engine Immobiliser, Airbags, ABS with EBA, 3x3 point rear seat belts, Air conditioning, Driver Seat with Height Adjustment, Outside Temperature Gauge, Traction control, Child locks & Isofix system. 5 seats, Metallic Silver, 1 former owner, ALL CREDIT/DEBIT CARDS ACCEPTED, FINANCE ARRANGED, PX WELCOME, £99 DEPOSIT RESERVES THIS CAR, CALL US NOW TO VIEW THIS CAR NOW ON 0191 477 8203 DAYTIME OR 07786 679 880 ANY TIME 7 DAY'S A WEEK. 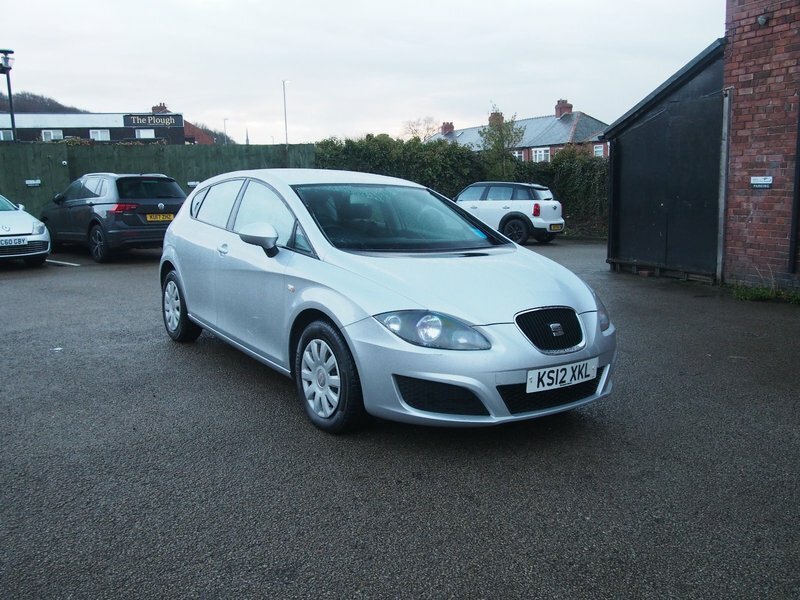 I would like to make an enquiry about your 2012 SEAT Leon TDI CR S SERVICE HISTORY ! £20 YEAR TAX ! 12 MONTHS MOT ! 99% FINANCE APPROVAL !